Lock in a great price for Ti Kaye Resort & Spa – rated 8.7 by recent guests! The views from the room were amazing and the beach and snorkeling were the best. We booked here for the beach and amenities and were not disappointed. Snorkeling was some of the best on the island. We loved having access to paddle boards. Was a great stay. The most beautiful room I have ever stayed in which included a large covered front patio with a magnificent view. 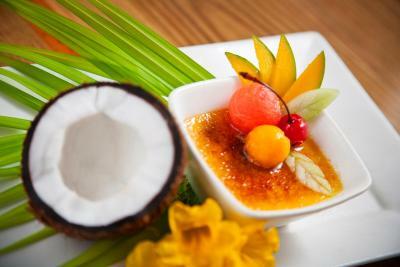 Resort's chef was excellent with wide, varied, interesting selections. 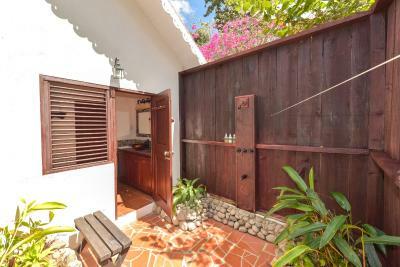 Loved the veranda, outdoor shower,breakfast, and beach chairs. We discovery of Ti Kaye was serendipitous. While sailing our boat North, we decided to anchor at Anse Cochon for some snorkeling. We looked up to see the peaceful Ti Kaye resort overlooking the bay. 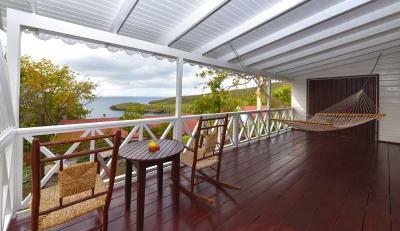 The moment we stepped off the boat in Rodney Bay, we booked the room. What a wonderful ending to our 2 weeks in the Windward Islands. Many thanks! The bed is as wonderful. I loved the room. The coffee was delicious. I loved the shower. Beautiful location, awesome accommodation, friendly staff and delicious food! High recommend - will definately be back! I loved everything. The food was out of this world. The staff was very helpful and helped me navigate around the island. I will be coming back. The staff and resort are wonderful. Our experience was amazing. 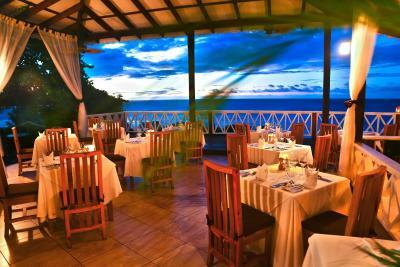 The hotel lobby, restaurant, and pool are on a cliff overlooking the beach. The bungalows are scattered up the hill and all have wonderful views and are quiet. The food in the two restaurants are excellent and I loved the breakfast and afternoon tea. I would also recommend the drive from the International airport by the Western route through Soufriere. It takes three hours on a winding road but well worth it. Ti Kaye Resort & Spa This rating is a reflection of how the property compares to the industry standard when it comes to price, facilities and services available. It's based on a self-evaluation by the property. Use this rating to help choose your stay! 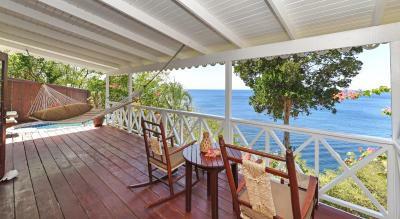 This resort is on the south west coast of the island and offers stunning views of the Caribbean Sea. 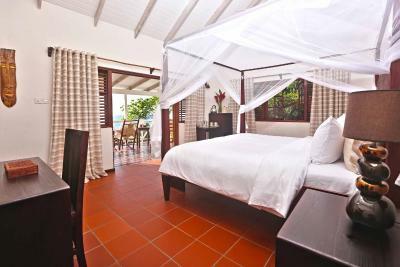 It features two restaurants, free Wi-Fi, and cottage accommodations with a private balcony and garden shower. Continental breakfast is included in the room rate. 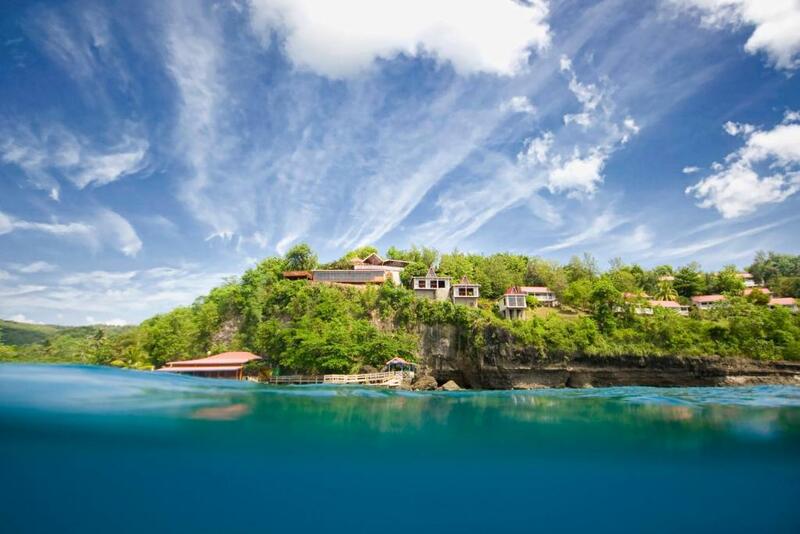 At Ti Kaye Resort & Spa, the full-service spa is on a cliff with floor-to-ceiling views of the Anse Cochon Bay. 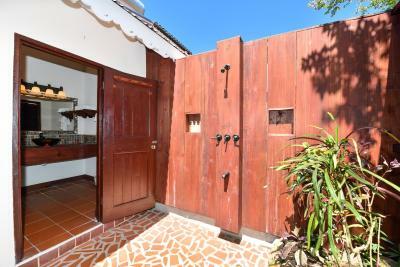 The property has an on-site PADI dive shop offering diving and snorkeling excursion and free kayaks. There is an outdoor pool with a lounge area. Car rental is also available. Every spacious accommodations features modern décor with an ocean view. A minibar and fridge are available for guest convenience. An iPod docking station is also included. 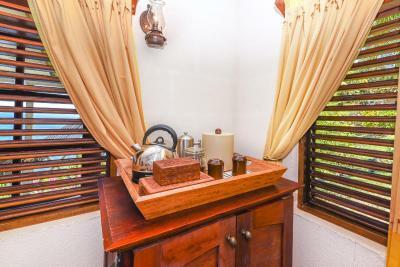 Each cottage is fitted with a ceiling fan and air conditioning. 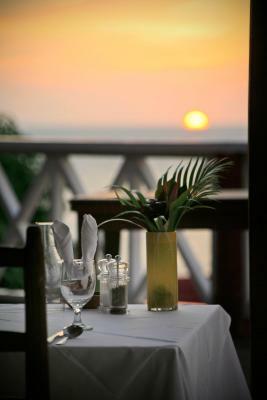 Resort Ti Kaye’s main restaurant, Kai Manje, is open all day and specializes in European and Creole cuisine, complete with vegetarian dishes. 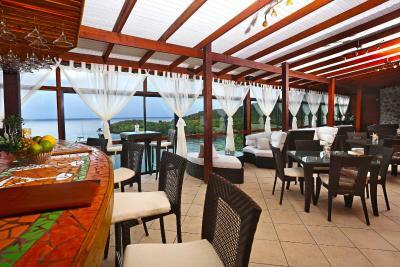 The Ti Manje beachside bar-restaurant serves sandwiches and salads for lunch, and the Ti Kave wine cellar features an extensive collection of wines. 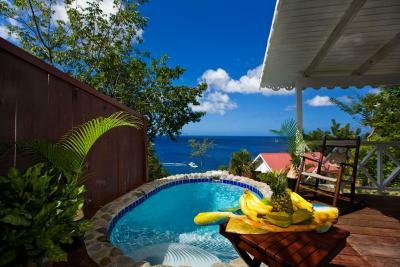 Ti Kaye Resort & Spa is located 15 miles from St. Lucia Hewanorra Airport, and shuttle services are available. Grand Bois Forest is just a 10-minute drive away. 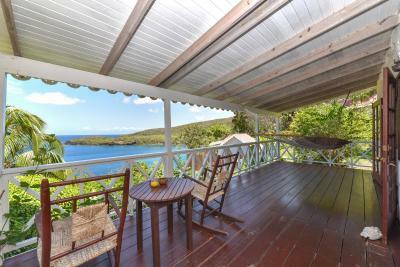 This property also has one of the top-rated locations in Anse La Raye! Guests are happier about it compared to other properties in the area. 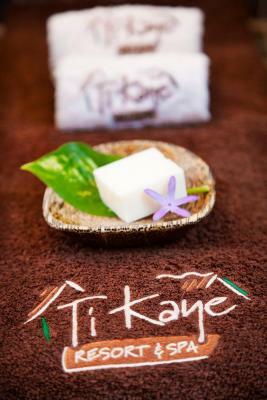 When would you like to stay at Ti Kaye Resort & Spa? 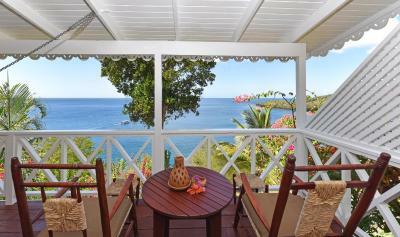 This spacious room offers wonderful sea views. A minibar, fridge and iPod dock are included. 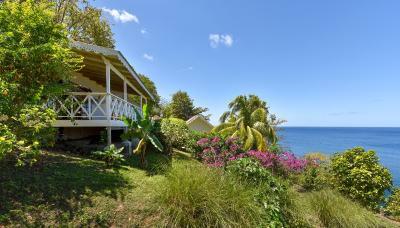 On the cliff side, this spacious cottage offers wonderful sea views and grounds with an outdoor shower. A minibar, fridge and iPod dock are included. Located on the water's edge, this spacious cottage offers wonderful sea views and a garden with a private plunge pool and outdoor shower. A mini-bar, fridge and iPod dock are included. This double room features a balcony, tumble dryer and electric kettle. 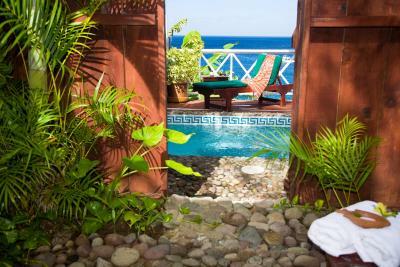 House Rules Ti Kaye Resort & Spa takes special requests – add in the next step! Ti Kaye Resort &amp; Spa accepts these cards and reserves the right to temporarily hold an amount prior to arrival. Ti Kaye Resort & Spa accepts these cards and reserves the right to temporarily hold an amount prior to arrival. Please note that as from 16th December, 2015 this property will only allow adult guests over 18-years old. I think it is expensive. And they charge you for everything extra. Eg breakfast is cold stuff. If you want an egg , add 18 USD. They tell you diving is 100 Usd. Then later they add the use of a wet suit. Food is nice but bland. No offence , but they cater for US American audience. Ti Kaye is an amazing resort. Little huts in colonial style overlooking the bay. You feel like in paradise. I think one of the prettiest resorts on this island. 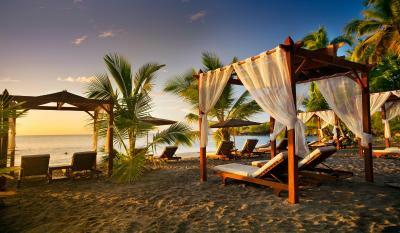 - Beach: it is very secluded and, although it is public, there are always free beds under the palm trees. The water is very clean and transparent and there are great snorkeling locations. Special thanks to Terry for all the coconuts he brought us! 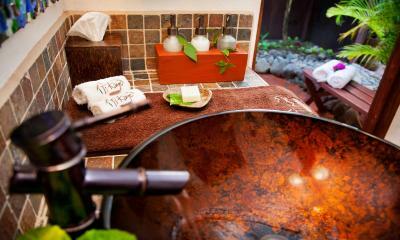 - Room: we stayed in the Inosan room with the plunge pool. 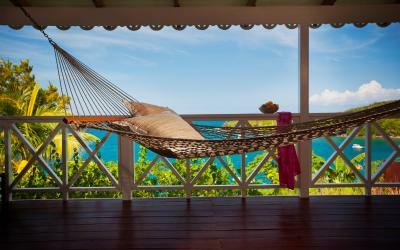 Everything you need to relax is in there: hammock, pool side bed with breath taking view of the caribbean sea, outside shower surrounded by vegetation. 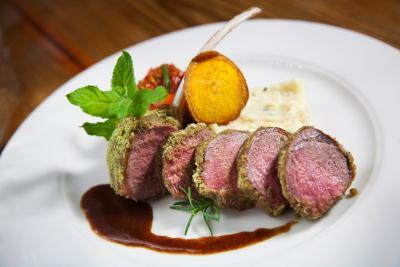 Cleaning was impeccable - Food: the Ti Manje restaurant keeps winning awards for a reason. 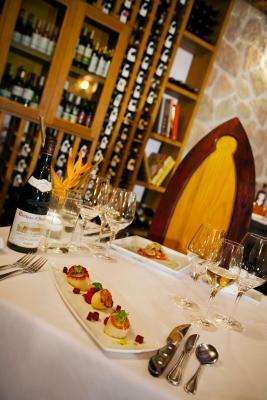 The fish is always fresh, the menu is different every day and is presented in an impeccable manner. The daily catch varies by day and is always amazing (tuna, mahi mahi, marlin, you name it). Verna took such good care of us, thank you! 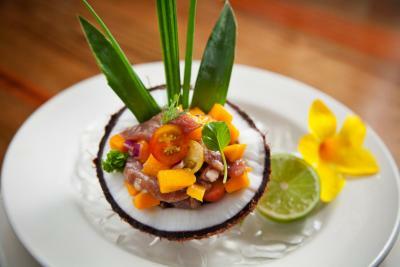 We advise getting the all inclusive meal plan: there are no restaurants close to the resort - Activities: we did the sea and land tour, which will show you the island by boat (Pitons, Soufriere) and other important sites (volcano, waterfalls) inland. Special thanks to Simeon, who drove us around the whole day and was a very knowledgeable guide in the botanical gardens - Diving/snorkeling: Ti Kaye is the place to go to for these activities. We did the snorkeling trip, which is simply breath taking: there are clear views of so many fish and corals. We didn’t dive, but we rode on the boat with the diving team, and we could admire captain Lesta in action. If you plan on diving, he’s the man, he’ll make your immersion an experience to remember! - Bar: whether you need rum advice from Jessica (Ti Kaye has an amazing selection from the Caribbean islands) or wine directions from Neige, the sommelier, you are in good hands! Not enough choice of food. 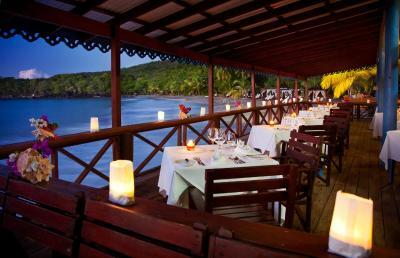 In the evening there is only one restaurant you can go to and this is very expensive, the food is ok and ok quality but not good enough to justify the prices. The bar does not serve any bar snacks and the hotel doesn't offer room service and being in a secluded difficult to reach location you really are stuck with the restaurant. 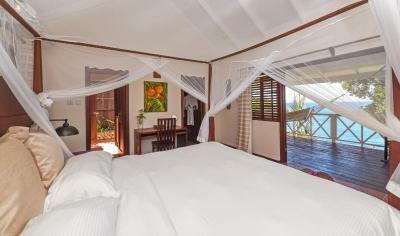 The bedrooms are beautiful and spacious with great sea views. The large balconies are lovely to relax in. A handful of the staff stood out as extremely friendly and helpful unfortunately over 50% of the staff were quite the opposite. The main restaurant requires booking every day and they do it in limited time slots to allow the ineffective staff to cover service. 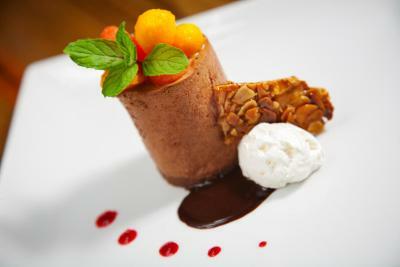 A couple of times throughout the week they have tasting menus which can be a 5 or 7 course meal with only the vegetarian option as an alternative. If you're trying to stay a little bit trim on a relaxing holiday where you do nothing but lay on the beach then like us you only want to pay for one course for a meal. Veggie menu food was very good though to be fair. That's our only down side to the holiday really and it didn't spoil it for us. Just be prepared for quite a large bill at the end of your break if you're putting food on your room tab (easiest). Some people may not like the comings and goings of the tourist pleasure boats and their snorkeling hoards on the beach. We found it quite interesting to watch the quick turnaround, get off, get in, get out, get away! One end of the beach is reserved for Ti Kaye guests though and there are plenty of loungers so it's really not that bad. Continental buffet breakfast was included which was quite nice although I didn't appreciate having to pay extra for eggs. Food in the restaurants was generally very good although the fish was sometimes overcooked, even when ordering it rare. The hotel is so remote that you have no option but to eat here, which is fine, the cost of food is a little pricey but for wine it was extortionate. We bought extra wine in a supermarket on the way from the airport, top-tip! The rooms are lovely and well serviced, outside showers are a new thing for us and quite strange when it is raining as well. We didn't pay extra for a room with a hot-tub as we spent all day on the beach or at the pool then crashed in bed after dinner. We loved the beach, see potential downside below. The lovely Terry waited on us hand and foot, always with a smile, the hardest worker in the resort in our eyes. Kayaks, paddle boards etc all included and always seemed to be enough available. A few days they were withdrawn due to choppy waters which was fair enough. Definitely worth waiting for the sunset at about 1815. The staff start clearing up around you from about 1730 but don't bother you at all. The sunset can't be seen from a lot of the rooms back up at the top as they face the wrong way. 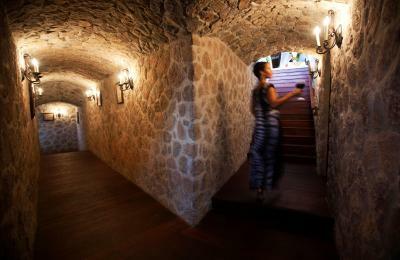 The steps back up from the beach to the hotel are a welcome short work-out after a day of laziness and entitle you to a cold Piton on return to your room! Buy these at the supermarket beforehand too. The grounds are beautiful and well maintained by a fleet of friendly staff. They do start working around 10am so a lay-in can sometimes be disturbed but you should've been up for breakfast before that. We loved watching the strikingly beautiful hummingbirds from our balcony and around the restaurant. Breakfast was average! Would be good to have a bar with more character! 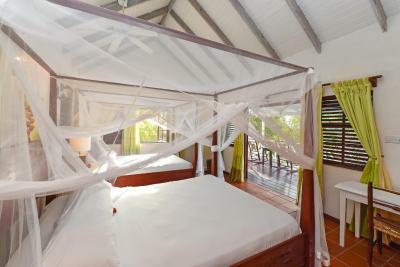 Lovely hotel - big spacious villas with verandas, hammocks and views. Beach gorgeous, lots of steps but good for you (! ), and great for paddle boarding and kayaking. About 2pm every day the peace is on pause as about 3 catamarans arrive with lots of cruise passengers who have a quick snorkel , shout lots and then disappear as quickly as they arrived. Peace again! There is not much to mention. Maybe occasional inbound of tourist/party boats (beaches are public), which were sometimes a bit noisy (honking, music), but they stayed some distance away of resort's sunbeds. This is not concerning resort (as mentioned in PROS before they were very fair), but it is pretty much common on the whole island (maybe except supermarkets and some bigger stores at Castries) that locals get lower prices than tourists on almost everything that doesn't have price tag.. 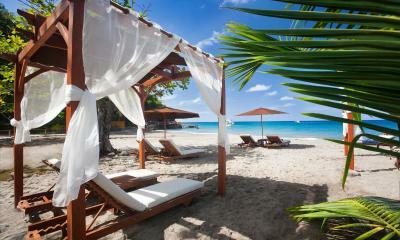 Simply the best resort to get married on St. Lucia (FYI in the end we just needed passports to do that). From the first enquiry to the ceremony itself we experienced only perfect guidance and coordination by the awesome resort coordinator Lita (three cheers for her!). 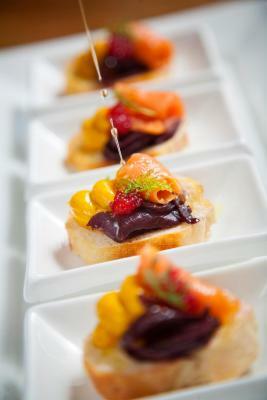 Most of the resorts we ask about wedding offered just overpriced packages (incl. accomodation with double price than was regular on booking - leaving us with the impression that we would be ripped of from the beginning). At Ti Kaye you pay just for the wedding (accomodation is separate) and it is up to you what services and extras you let the resort arrange for you. Very fair and sincere policy, no hidden charges whatsoever. Everything went smooth and thanks to that we have so many sweet memories on our wedding day (without any usual wedding stresses) and following honeymoon.. 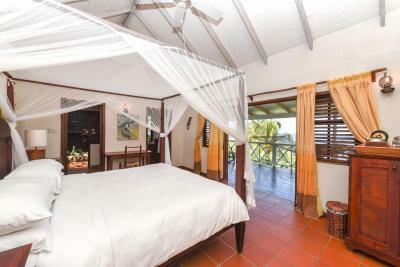 Whole (very secluded) resort and cottages are very private and romantic, well equiped - outdoor shower with tropical plants is gorgeous, porch with hammock and sea views. Big (enough) closet for clothes with safe-deposit box, fridge with daily resort made (and filtered water) in glass bottles, nice beds with mosquito nets. Working AC and ceiling fan. Just location of electric sockets in the bedroom was kinda unpractical (behind furniture with bad access). 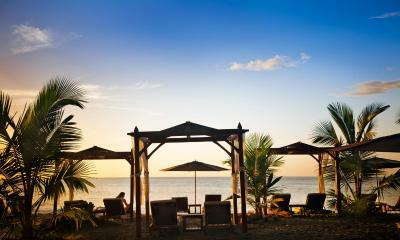 Beach is great with palm trees and comfy sunbeds with sunshades. There is complimentary cold (drink) water in tank for the guests and free cayaks and paddle boards (just have to sign in diving office). Pretty snorkeling spots on both sides of the beach (coral reefs with plenty of fishes, even saw squids and sea snake or eel on the bottom). Both the main restaurant (Kai Manje) and beach bar restaurant (Ti Manje) makes very tasty meals, but the prices (especialy at Kai Manje) are a bit higher, but so is the level of (grand) cousine. All staff is generaly very polite and helpful. The two mile access road needs major work. 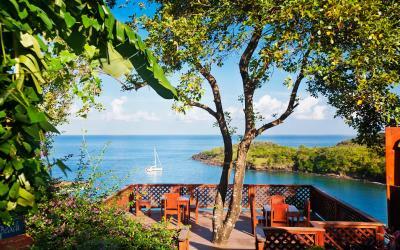 As its a private beach resort it is cut off somewhat which is good if you just need to chill but if you want to see any of the real St Lucia you are dependant on booking tours and taxis through the main reception. They add a fair bit of commission on top just for calling a taxi! The road down to the resort is really uneven and hard going. Alot of taxis will not venture down there. It needs resurfacing. The location, food and staff attitude is 5 star but little things let it down and stop it being a 5 star resort- mainly the facilities in the rooms. Little things like not enough power sockets, the power sockets that are there are really poorly positioned and very difficult to access ie behind the heavy beds and cupboards. We had to get an extension socket which didn't look particularly safe. Overhead fan rattling so couldn't use, iron not good, lighting poor. No drinks provided in fridge even though we were on an all inclusive package- they charge you if you want the drinks put in your fridge! Very iffy wifi dropping out all the time, only really good place is near to reception/beach bar. First aid provision could be better bearing in mind how remote the place is. The spa has the best views but again not really run to the standard it could/should be- silly little things like not giving you water/drink and having to ask. Not advised that we could use spa facilities even though we had treatments- again had to enquire re using it. Spa front desk left unmanned alot. The beach location is amazing. Snorkelling right off the beach is fantastic. 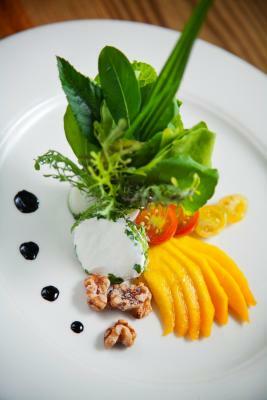 The food is top end and a work of art, almost too good to eat. Great cocktails, rum punchs and the cocktail lady in the main upstairs bar is brilliant. The staff are all really friendly and helpful, particularly Nadine. 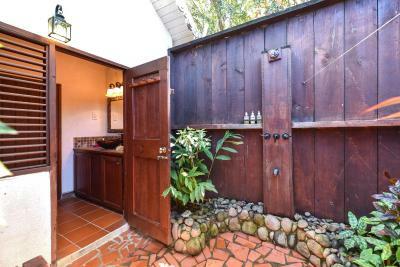 The outdoor garden showers are a wonderful experience. The 2 hour sunset cruise is really good and worth doing, great views of Pitons and saw loads of dolphins. 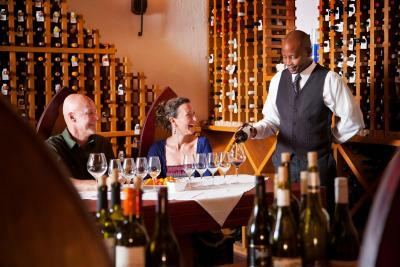 I felt the staff could have been more accommodating by being warm and friendly. They were not rude but they didn’t seem or appear approachable or friendly. The location is terrible. The road leading up the resort is terrible. We arrived in late at night and the roads were pitch black and very rocky with potholes so that didn’t leave a lasting impression. We didn’t think it was good value for money considering the rating of the property. The beach was lovely but not easily accessible and if you are older or have a disability, it’s impossible to walk up over 160 steps from the beach. The same applies to the rooms. In some cases there was an absence of staff not knowing the details of the hotel. Not sure if they were new or just inefficient. Getting into the main city cost up to $150. Everything was over priced to be honest and the vibe was quite dull. We weren’t very impressed I am afraid. I think it’s a great place if you are trying to get away from everything. It’s right in the middle of the jungle so very lush views and lots of nature to be surrounded by. The room labels were cute as they are named after local words. The pool was nice. Lack of 110 power. Lunch, dinner, spa, and tour prices. WiFi is too spotty. Breakfast could be better given the spectacularness of the other meals! It sounds like it’s a common thing on the island, SOME of the staff just look unhappy. Very expensive, but it is what it is, US dollar doesn’t help. The quality of the massage didn’t match the price. The room, the view, the outdoor shower, the food.